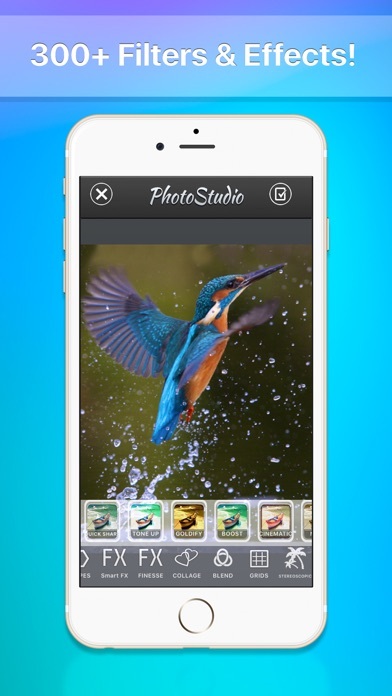 The stunning photo editing APP in the Store is available now. 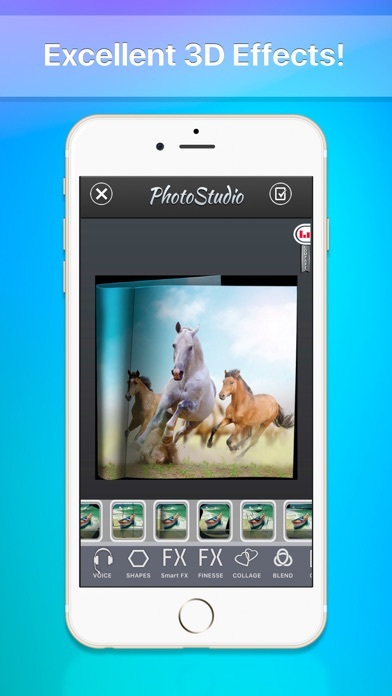 Photo Studio HD is aimed at combining the fun of playing with pictures and the needs of professional picture editing. With more than 450 filters and effects every possible need will be satisfied! Effects, filters, editing tools, frames, overlays and other functions are clearly distinguished and easy to find. This is important due to the many options and possibilities that this picture editor has to offer. Advanced blending tool with more than 20 functions like Multiply, Add, Dissolve, Poisson, ChromaKey, Overlay, ColorBurn, DolorDodge, Difference, Subtract and more. Free to combine and superimpose. Sketching effects reaching from Inked via crosshatch to tinting and montage. Again, all of these are free to combine and superimpose any way you feel. Now that's a part we put a lot of work in. Here you find things like White Balance, Gamma Correction, Saturation and Hue Controls and Tonecurves. Free Rotation, Mirroring tools and Partial Blur can also be found here together with Enhance, Contrast and Brightness control. Oh, yeah, Histogram and cropping tools are to be found here too. For those who like to tamper with their selfies and do some corrections, various Smoothing and Patching tools are available. For your privacy, you can deactivate Geo Tags from within the app. Overlays are not the same as filters, but you can create stunning effects with overlays. That's why we added a ton of them, to many to list them here. Never forget about fun, that why there are Face Swap, Stickers, Watercolor Effects and splash drawing tools. 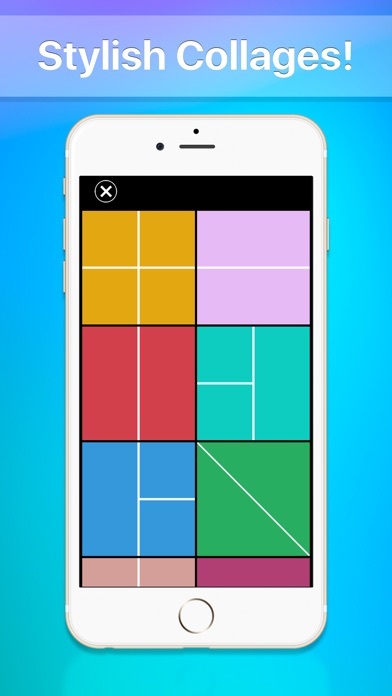 You want to save and share your pictures and show them to your friends, directly from within the app. If you are looking for the most complete and advanced picture editing tool, stop searching. You just found it.